MCHS has partnered with Buffalo Wild Wings - Manitowoc for their Home Team Advantage (HTA) program. From January 1 to December 31, 2019, Buffalo Wild Wings will donate 10% of your order (dine-in or take-out) when you mention Manitowoc County Historical Society (Team K). Visitors will discover the variety of quality foods produced in Manitowoc County and celebrate our strong agricultural heritage. Funds raised at the event will help the Manitowoc County Historical Society in their efforts to preserve and promote local history. The breakfast will be prepared by Late’s BBQ and will feature a wide variety of food from local producers. The breakfast will feature items from local food producers including: Humpty Dumpty Eggs, Natural Ovens Bakery breads, Newton Meats, Willow Creek Mill pancake mix, Pine River Dairy butter, jams by Creative Cannery LLC, and coffee, milk and juice provided by Kwik Trip. It is with the support of our community that we are able to preserve and promote the rich history of Manitowoc County. The mission of the Homegrown Heritage Breakfast is to provide our neighbors and community with quality food and celebrate the dedication of area farmers. Cost is $10 MCHS member Adults, $7 MCHS member Children 4-17, $15 Non-member adults, $10 non-member children. Under age 4 is free. The breakfast is made possible by Investors Community Bank. Topic: Civil War Soldier - Discover the clothes, backpacks, and diaries of a Manitowoc County Civil War soldier. SPARK! is a free monthly program for individuals living with early-to-mid stage memory loss, their care partners, and family members. Participants are engaged in lively conversations, exhibit exploration, historic artifacts, and multi-sensory activities. SPARK! programs are held at the Manitowoc County Historical Society on the first Wednesday of each month at 11 am. Participants may arrive at 10:45 am for coffee and conversation before the program begins. The program will last between 60 and 90 minutes. Participants and their families are also welcome to stay after the program to tour the museum. Space is limited for the programs and we ask that you register at least 3 days before the program. To register for a SPARK! program you can email info@ManitowocCountyHistory.org or call the museum at (920) 684-4445. For more information on SPARK! and the monthly topics, please visit our SPARK! program page. ﻿The SPARK! program at the Manitowoc County Historical Society is made possible in part by generous support from Felician Village. Calling all pasta lovers! Dine with us at Noodles and Company on Wednesday, May 15, 2019 from 4 pm to 8 pm to support the Manitowoc County Historical Society. Present the flyer below (either paper copy or on your smartphone) to cashier when checking out and 25% from your order will be donated to MCHS. Discover the romance, foods, and courting etiquette of the Victorian era! The night is designed for pairs of friends or significant others. You’ll explore common courting rituals, such as writing love letters, enjoy a light dinner, and practice romantic parlor games. Fee: $50.00 for MCHS Member pair. $60 for non-member pair. Advanced registration required. Age 16 and older. Join the Manitowoc Public Library for a free day at the Manitowoc County Historical Society. Visitors can show their MCLS library card to tour the museum at no cost. A story time will be presented at 1 p.m. in Shadyside School by the Manitowoc Public Library. Click HERE to learn more about the Manitowoc Public Library. Join us for a MCHS Member morning coffee break! Our Manitowoc County Historical Society members and those thinking about membership are invited to attend Member Mornings at the museum. Member Mornings are members-only conversations each month. Attendees will get to learn of the latest updates, ask questions, tour the museum, and help inform the long-range plans for the organization. The Member Mornings take place on the third Tuesday of the month in May, July, and September. All programs begin at 10:30 am and last approximately 30 minutes to 1 hour. Enjoy coffee, cookies, and conversation with other Manitowoc County Historical Society members. There is no charge for the programs. Explore Abilities Weekend is an opportunity for children and adults with learning differences and their families. Explore Abilities gives families the opportunity to enjoy the Museum’s historic structures and grounds at their own pace and also participate in the special activities occurring throughout the weekend. To help you and your family familiarize yourself with the Museum before your visit, please view our museum map. Admission is free if you mention “Explore Abilities” to our front desk attendant during the weekend. Children under age 4 and MCHS Members always receive free admission. Become a member and take part in free daily admission and other discounts for 12 months! Learn more about Accessibility at the Manitowoc County Historical Society. Although it has been over 150 years since our country has fought in the Civil War, the diaries, stories, and lessons still remain. Pinecrest Village is transformed into a Civil War encampment where visitors can meet famous figures of the past and experience firsthand a turbulent time period in our nation’s history. Join reenactors as they stage a battle complete with raging cannons and marching infantry. Learn how the nation changed through the insights of local people who made a difference in history. The family-friendly event features food, fun and shopping on "Sutler's Row" for traditional Civil War-era reproduction products. Watch out for pickets throughout the day! Admission is $10 for adults, $7 for children age 4 to 17, and under age 4 is free. MCHS members receive free admission. Civil War Days is made possible by Cellcom/Nsight Telservices, Community First Credit Union, and UnitedOne Credit Union. On Sunday, June 2, any youth (18 or under) Scout (Boy Scouts, Cub Scouts, Girl Scouts, etc.) who comes to Civil War Days in his or her uniform will be given free admission. To speed up the entry process, Scouts should register for their tickets prior to June 2. The registration process is easy! 1. Simply click on the Scout Sunday ticket link below and print out your ticket page. 2. Bring the ticket to the McAllister House Welcome Center on Sunday, June 2, dressed in your Scout uniform, to gain free entry. You may arrive at any time during the Civil War Days experience. Check out the full listing of our Civil War Days activities by clicking on the link below. Get the Full Schedule of Civil War Days Activities! 3. 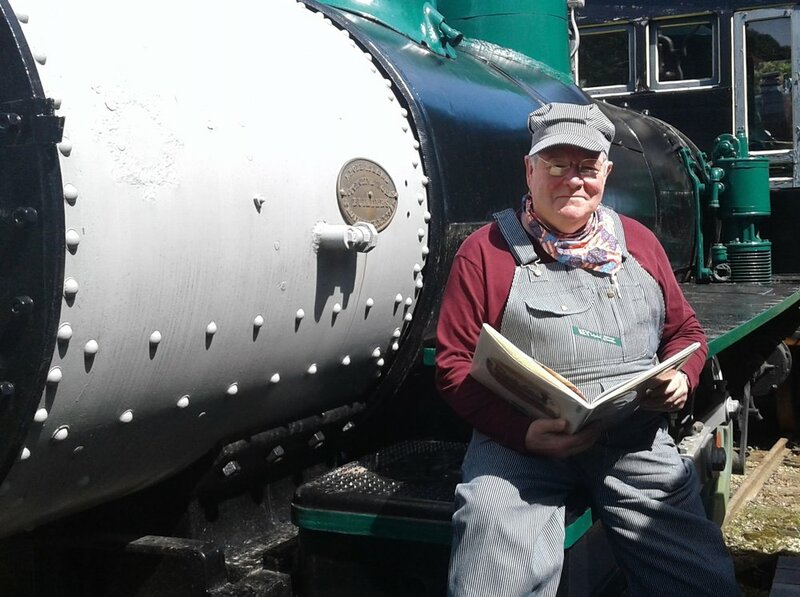 When you arrive, we urge you to visit our Collins Depot, located near the Welcome Center, to get a scavenger hunt to complete. This scavenger hunt is a wonderful opportunity for you to explore the grounds and win a prize. Topic: Victorian Pampering - A wide range of beauty products were available to Wisconsin residents during the Victorian Era. Try on a hoop skirt, mix a cologne or perfume, and pack a beauty bag to take home. Enjoy a special stroller-friendly tour for children and their caregivers. Led by museum educators, this interactive exploration includes touchable objects, art-making, and adult conversation. Designed for children up to 24 months. During this hands-on cheesemaking workshop, you will learn about the cheesemaking process and how to make mozzarella. You’ll have the chance to stretch mozzarella and sample various cheeses. Dine with us at Cousins Subs on Tuesday, June 11, 2019 from 4 pm to 7 pm. No flyer needed, simply visit Cousins Subs during the fundraiser hours and 15% from your order will be donated to MCHS. The class is designed to give someone with little or no metal working skills as a hands-on, fun “be a blacksmith for a day” experience. Explore the basics of forge work in a blacksmith shop while making a decorative “S” hook to hang in your home. Topics will include safety, tools and equipment, and beginning techniques for shaping metal. Small class size guarantees lots of one-on-one instruction and lots of time at the forge! All costs of materials are included in the cost of the class. Dress for working in a shop and for the weather (shop is heated by a wood-burning stove only). Bring eye protection and a water bottle. Fee: $25.00 for MCHS Member. $30 for non-member. Advanced registration required. Age 16 and older. Enjoy a tour for our smallest of visitors! The Museum Mice preschool series tours will be offered to toddlers and young children and their parents, grandparents, or caregivers. Different topics will be offered weekly on Wednesdays from June 19 to July 31 (excluding July 3), from 10:30 to 11:30 am. This guided tour of the Manitowoc County Historical Society's Pinecrest Village spans more than 150 years of history and 60 acres. Approximately 90 minutes in duration, the tour will take you to each building in our Village using our motorized tram. The tram will stop at each building, where you can depart from the tram if you wish to enter the structure. Susan Apps-Bodilly, author of “One Rooms Schools: Stories from the Days of 1 Teacher, 1 Room, & 8 Grades,” will give a presentation on the different aspects of one-room schools throughout history. In “One Room Schools,” Susan Apps-Bodilly chronicles life in Wisconsin’s early country schools, detailing the experiences of the students, the role of the teacher and examples of the curriculum, including the importance of Wisconsin School of the Air radio programs. She describes the duties children had at school besides their schoolwork, from cleaning the erasers and sweeping cobwebs out of the outhouse to carrying in wood for the stove. She also tells what led to the closing of the one-room schools, which also served as the gathering place for the community. The class is designed to give someone with little or no metal working skills as a hands-on, fun “be a blacksmith for a day” experience. Explore the basics of forge work in a blacksmith shop while making a dinner triangle to take home. Topics will include safety, tools and equipment, and beginning techniques for shaping metal. Small class size guarantees lots of one-on-one instruction and lots of time at the forge! Learn the basics of hand sewing. You will learn basic hand stitching skills such as: sewing straight seams, simple hems, sewing on buttons, and how to make the most of using a thimble. Fee: $10.00 for MCHS Member. $15 for non-member. Advanced registration required. Age 12 and older. Mary recalls her early years and education in Lexington, Kentucky. She tells of her move to Springfield, Illinois, where she would meet and marry young prairie lawyer Abraham Lincoln. Mary introduces the audience to life in Washington, regaling her listeners with stories about her boys, including her biggest boy Mr. Lincoln. In this time of national strife, the Lincolns would suffer personal tragedies, concluding on that fateful day in April of 1865. The program begins at 1 pm. The cost is $5 for MCHS Member adults and children age 4 to 17, $12 for Adults, $7 for children age 4 to 17, and under age 4 is free. Museum admission is included in the cost of the tea program. Advanced registration is required. Sweets and tea will be served. This event is best suited for adults and children age 6 and older. 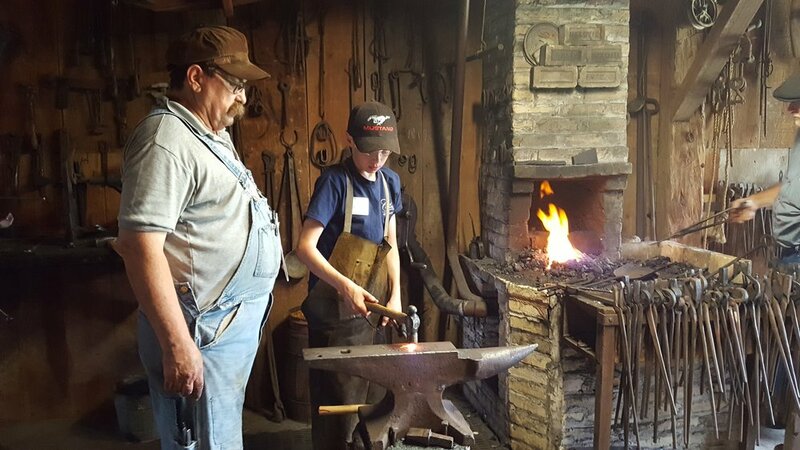 This class will allow a parent/grandparent to work with a child as they learn historic blacksmithing techniques in a historic setting. Everyone will get to make several small, hands-on projects, such as small dinner triangles and hooks, while learning about proper safety in a workshop environment. Fee: $35.00 for MCHS Member pair. $50 for non-member pair. A pair is defined as one adult and one child (age 12 to 17). Advanced registration is required. The Manitowoc County Historical Society will offer free admission to kids under the age of 17 on Tuesdays in the month of July, from 10 am to 4 pm. There is a limit of 3 free children with one paid adult admission. Topic: Toys and Games of the Past - Relive popular toys and games from the last century. Researched, written, and photographed by Melinda Anne Roberts. Wisconsin's smallest communities have remarkable stories. From the Native Americans who have been here for centuries, to the arrival of French emissary Jean Nicolet in 1634; through the fur-trading, logging, mining and agricultural transitions and the arrival of European immigrant and Yankee pioneer settlers, Wisconsin's history is compelling, intriguing, and unique. With full-color photographs taken by author Melinda Anne Roberts, fun and fascinating facts, an intimate look at the people and events that define every community, and a summary of what you can see and do there today, you'll be inspired to pack your bags and head out for a visit! Three Manitowoc County communities are featured in the book: Collins, Maribel, and Kellnersville. The class is designed to give someone with little or no metal working skills as a hands-on, fun “be a blacksmith for a day” experience. Explore the basics of forge work in a blacksmith shop while making a boot scraper to take home. Topics will include safety, tools and equipment, and beginning techniques for shaping metal. Small class size guarantees lots of one-on-one instruction and lots of time at the forge! Enjoy Menchie’s frozen yogurt while supporting MCHS! Pinecrest Pints and Plates celebrates the farm-to-table food and craft drink movement with unique dining experiences throughout our grounds, featuring local food and beverage producers. It’s a one-of-a-kind dining experience fundraiser for adults. Tickets: $50 before July 22 or $60 the day of, at the door, if not sold out, which includes craft beers, regional wines, food samples from area restaurants, music, a souvenir sampling glass, and a wide array of auction and raffle items to win! Up for bidding fun: stay tuned! Our goal is to raise $20,000 to support our year round hands-on education programs for thousands of children and adults. The evening is a fundraiser for the Manitowoc County Historical Society, a privately funded 501c3 nonprofit organization. Did you know that the Manitowoc County Historical Society is a direct reflection of your support? MCHS does not receive any city, county, or state dollars to live our mission of preserving and sharing our local history. Our support comes from you! The Manitowoc County Historical Society would like to say thank you to all of the educators who put in the time and effort to bring learning to life for their students. If you’ve never been to the Manitowoc County Historical Society with your students, come out to preview what the museum has to offer. Or if you’ve already visited many times with students, enjoy exploring at a leisurely pace. Education experience interpreters will be on hand to lead short informational sessions on incorporating an educational visit or program to enhance your classroom learning. Light refreshments will be served. You may arrive anytime between 1 pm and 4 pm. We recommend at least 2 hours to explore and enjoy refreshments. Educators are admitted free; additional family members pay regular admission fee. Please RSVP by July 17. You can RSVP with the form below, send an email to programs@manitowoccountyhistory.org, or call (920) 684-4445. We look forward to your visit on Tuesday, July 24. You may arrive anytime between 1 pm and 4 pm. We recommend at least 2 hours to explore and enjoy refreshments. Thank you! Take the next step in your blacksmithing training and build on the skills learned in our beginner class. Participants will make a project to take home. Small class size guarantees lots of one-on-one instruction and lots of time at the forge! A wide range of beauty products were available to Wisconsin residents during the Victorian Era. Try on a hoop skirt, mix a cologne or perfume, and pack a beauty bag to take home. Fee: $25.00 for MCHS Member. $30 for non-member. Advanced registration required. Age 12 and older. Topic: The Pioneer Prairie - What did our land look like before settlement? Discover the beauty of a natural prairie. Join Pinecrest Historical Village in Manitowoc as The Best of Buffalo Bill’s Wild West brings this iconic page of history to life right before your eyes. Catch all the action and adventure of this grand enterprise of sharp shooters and Congress of Rough Riders of the World, in what many consider to be the finest and most faithful portrayal of a true American original. The Show will include a canvas boomtown full of activities for all ages along with historic trades and crafts in Pinecrest’s historic homes and businesses. The main show will take place at 1:00 pm, both Saturday and Sunday. Concessions are available in the Two Creeks Town Hall. No carry-ins are allowed. Admission is $10 for adults, $7 for children age 4 to 17, under age 4 is free. MCHS Members are admitted free. The Buffalo Bill Wild West Show is made possible by the A.C.E. Building Service, Inc., Bank First National, Bitter Neumann, Community First Credit Union, Denmark State Bank, EVM, Inc., Hawkins Ash CPAs, UnitedOne Credit Union, and Weichert, Realtors CornerStone. Indulge in your favorite treat from A&W, whether it’s cheese curds or a root beer float, to support MCHS! Dine with us between 4 pm and 8 pm and 10% of the proceeds from your order will be donated to MCHS. History Happy Hour will be held at Saucy’s Sports Lounge (1915 Washington Street, Manitowoc) on August 21 from 5:30 to 6:30 pm. Guests during History Happy Hour will receive a historical overview handout about the tavern, along with a commemorative photo coaster, and a raffle to support the Meeme House Inn Project will also take place. Are you a nature enthusiast, photographer, painter, or bird watcher? Don’t miss this opportunity to explore our beautiful grounds after we close to the public on Thursday, August 22 from 4 pm to 6:30 pm. . Take photos, paint, sketch, and hike the nature trail or just relax as you enjoy Golden Hour at Pinecrest. Admission is $10. Professional photographers and artists are welcome. All photographs and artwork must be for personal use and cannot be used for commercial or marketing purposes. Topic: Life on the Farm - Roll up your sleeves and get ready to make some butter and cheese - and take part in other farm chores! Feel the ground shake with the roar of antique power! Experience the roots of Wisconsin’s agricultural past during two action-filled days of antique farming re-creations, hands-on demonstrations, farmhand contests, food, and much more! 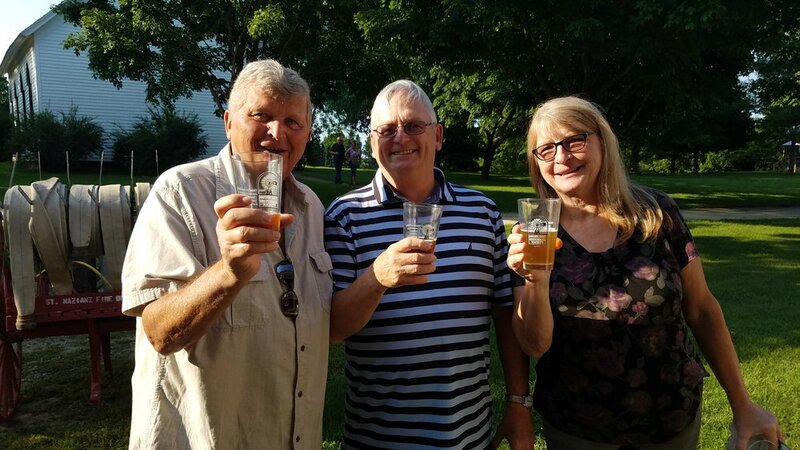 The Mid-Lakes Thresheree is an interactive outdoor event which educates, entertains and connects people of all ages to Wisconsin rural life experiences. Whether it’s making butter in the Cheese Factory, seeing antique farm machines at work, or an exciting stroll through 25 different interactive historic structures, there’s always something exciting happening at our Thresheree. It’s home to endless discoveries about history, science, art, and nature, and the event weekend is brimming with activities you won’t want to miss! Sawmill narrated discussion at 1 pm. Cattle Auction (2 pm, both days, outside the Town Hall) - Earn coins for doing farm chores throughout the day. Then "buy" a cow at our auction, designed in part by Mishicot FFA. When auction time comes, will you have a winning bid? You can't take our cattle home with you, but you will get a certificate of ownership, dated 1900! Field To Fork – Get your hands dirty and follow the path from harvest to bread (and butter). Bindering demonstration at 11 am outside the Niles Church (approx. 30 minutes). Threshing machine/steam demonstration at 12:30 near the threshing machines (approx. 45minutes). Grinding wheat at the General Store throughout the day. Making bread throughout the day at the Kunze Cabin. Making butter throughout the day at the Cheese Factory. Sunday Morning Church Service: Gather Sunday at 10:15 for a non-denominational church service in the historic Niles Community Church. Share your family’s old or new farm picture to be included in a digital display during the Mid-Lakes Thresheree weekend! Photos should be submitted in jpg format and include the farm name, location, and no more than 50 words about the family or farm. Images should be emailed to info@ManitowocCountyHistory.org with the subject line “Farm Photo”. By submitting material to us, you grant MCHS, its affiliates, and partners use of the material for the Mid-Lakes Thresheree 2019, including the right to use your name and city/state in connection with any such use. We reserve the right to modify, reproduce and distribute your material. Admission is $10 for adults, $7 for children age 4 to 17, under age 4 is free. MCHS and MLRI Members are free. Must show Membership card. The Mid-Lakes Thresheree is an immersive experience unlike any other. The event is put on in partnership between the Mid-Lakes Rustic Iron Tractor Club, a non-profit, volunteer run organization, and the Manitowoc County Historical Society, a private 501c3 non-profit museum. Our groups have a clear goal—to educate the public and future generations with demonstrations of vintage agriculture. This cooperative effort brings to life Wisconsin’s rich agricultural heritage with popular displays, field demonstrations, and countless activities for visitors of all ages. designated area for a fee. Advanced registration is required. For more information on the swap meet, please contact: Mark Griesbach at (920) 726-4772—call before 1 p.m. or leave message. Join in the Exhibitor's Breakfast, starting at 8 am both days at the Nenning Dance Pavilion. On Sunday, September 8, any youth (18 or under) in 4-H or FFA who comes to the Mid-Lakes Thresheree in his or her uniform, organization jackets, or group t-shirts will receive free admission this day. Group leaders also admitted free. To speed up the entry process, participants should register for their tickets prior to September 8. 1. Simply click on the 4-H and FFA Sunday ticket link below and print out your ticket page. 2. Bring the ticket to the McAllister House Welcome Center on Sunday, September 8, dressed in your 4-H or FFA uniform, organization jackets, or group t-shirt. You may arrive at any time during the Mid-Lakes Thresheree experience. Check out the full listing of our Threshree activities by clicking on the link below. Get the Full Schedule of Mid-Lakes Thresheree Activities! Learn about the history of spinning, the different fibers that can be used, and how to prep wool during this interactive class. Our talented instructors will assist you in learning on a drop spindle to help you create your own yarn. Workshop includes a drop spindle of your own, wool, and instruction book. History Happy Hour will be held at Ryan’s on York (712 York Street, Manitowoc) on September 18 from 5:30 to 6:30 pm. Guests during History Happy Hour will receive a historical overview handout about the tavern, along with a commemorative photo coaster, and a raffle to support the Meeme House Inn Project will also take place. The true story of Manitowoc’s first murder will unfold as the sensational murder trial of Charles Rosstauscher is reenacted. Was the defendant guilty? You decide – the audience is the jury! As the day’s light begins to fade, join the residents of Pinecrest Village as they take part in music, cooking, candle making, and more with a lantern-guided evening stroll. Advance ticket purchase is required for this event. Tickets are available for $15 for adults and $7 for children age 4 to 17. Under age 4 is free. The tour lasts roughly 75 minutes and is an outdoor walking door, with various stops in our historic buildings along the way, so please dress accordingly. Tours begin at 5:30 pm and depart from the visitor center every 15 minutes until 7:45 pm. Tickets sold and available by time slot. Advanced registration is required. Paint your own barn quilt to hang in your home. Learn about the significance of barn quilts. Children will practice pattern repetition with a short barn quilt design activity. There will be 3 patterns and an array of colors to choose from for your completed project. An instructor will assist participants in drawing their patterns. All supplies are provided for this class. Finished project size is 2’ x 2’. Are you a nature enthusiast, photographer, painter, or bird watcher? Don’t miss this opportunity to explore our beautiful grounds before we open to the public on Thursday, September 26 from 7 am to 10 am. Take photos, paint, sketch, and hike the nature trail or just relax as you enjoy Golden Hour at Pinecrest. Admission is $10. Professional photographers and artists are welcome. All photographs and artwork must be for personal use and cannot be used for commercial or marketing purposes. Topic: Victorian Song and Dance - Sing and follow along with our Victorian tunes and dancing. Get ready for an adventure in the archives! Follow MCHS staff into the archives to learn the story behind the story! Everyone loves the idea of a backstage pass, and it doesn’t get more exclusive than exploring the collections area of the Manitowoc County Historical Society. The tour will focus on newspaper archives. Enjoy an afternoon of 1890s-style family fun, with a retelling of immigrant legends that were brought to Wisconsin and the folklore we created here at home. Come revel in Victorian-era entertainment including fortune telling, crafts, games and more! Visitors are encouraged to dress in costume and “trick or treat” throughout our village. All Hallow's Eve is made possible by A.C.E. Building Service, Inc. The class is designed to give women with little or no metal working skills as a hands-on, fun “be a blacksmith for a day” experience. Explore the basics of forge work in a blacksmith shop while making various decorative items to take home. Topics will include safety, tools and equipment, and beginning techniques for shaping metal. Small class size guarantees lots of one-on-one instruction and lots of time at the forge! Are you a nature enthusiast, photographer, painter, or bird watcher? Don’t miss this opportunity to explore our beautiful grounds after we close to the public on Thursday, October 17 from 4 pm to 6:30 pm. Take photos, paint, sketch, and hike the nature trail or just relax as you enjoy Golden Hour at Pinecrest. Admission is $10. Professional photographers and artists are welcome. All photographs and artwork must be for personal use and cannot be used for commercial or marketing purposes. History Happy Hour will be held at Wildcats Longbranch Saloon (4008 Village Drive, Whitelaw) on October 16 from 5:30 to 6:30 pm. Guests during History Happy Hour will receive a historical overview handout about the tavern, along with a commemorative photo coaster, and a raffle to support the Meeme House Inn Project will also take place. In the dead of an unassuming January night in 1883, Milwaukee’s Newhall House hotel was set on fire. Two hours later, the building—once among the tallest in the nation—lay in ruins and over seventy people were dead, including Manitowoc’s Judge George Reed. Topic: In the Leather Shop - Create a leather project to take home and learn about this historic trade. Joe Kapler, Curator at the Wisconsin Historical Society, provides a history of the Evergleam Aluminum Christmas Tree produced by the Aluminum Specialty Company of Manitowoc, Wisconsin. The Aluminum Specialty Company became the largest manufacturer of these trees, popular in the 1960s. Kapler discusses their recent resurgence in popularity. Whether it's to create your own keepsake or make presents for friends and family, this is a great opportunity to learn simple metalworking techniques in copper, tin, and brass. You'll have the opportunity to create 2-3 attractive ornaments. Fee: $5.00 for MCHS Member. $10 for non-member. Advanced registration is required. Ages 6+. Adult must accompany children under age 16. Topic: Christmas Calling Cards - ‘Tis the season for holiday greetings! Be a printer’s apprentice and make a holiday calling card and help decorate cookies. Join us for a day of holiday traditions filled with Christmas cheer! Bundle up for a holiday visit to Pinecrest Village and explore the season's traditions. Help decorate the tree with the Sorenson family and participate in their holiday traditions. Head on over to the Print Shop to learn the art of printing while making your own holiday cards! In the Two Creeks Town Hall, enjoy decorating Christmas cookies and sipping hot cider during breaks from dancing to live music. While the kids visit Santa in the decorated Visitor Center, adults can shop for unique gifts in the Museum Store. Pinecrest Village is the perfect place to enjoy the simple traditions of the holiday season! Groups will also be performing in the Niles Church. Admission is $10 for adults, $7 for children age 5 to 17, under age 4 is free. MCHS Members are admitted free. Pinecrest Christmas is made possible by Bitter Neumann and Manitowoc Landscape. Come celebrate the holidays at Pinecrest Village with a lantern-guided evening stroll. Experience music, food, drinks, and history as you create a new holiday tradition with our Christmas Lantern Tours! The tour lasts roughly 75 minutes and is an outdoor walking door, with various stops in our historic buildings along the way, so please dress accordingly. Tours begin at 4:00 pm and depart from the visitor center every 15 minutes until 4:45 pm. Tickets sold and available by time slot. Advanced registration is required. History Happy Hour will be held at Kurtz’s Pub & Deli (1410 Washington Street, Two Rivers) on April 17 from 5:30 to 6:30 pm. Guests during History Happy Hour will receive a historical overview handout about the tavern, along with a commemorative photo coaster, and a raffle to support the Meeme House Inn Project will also take place. Folks, there is no finer therapy, drug, cream, or tonic more beneficial to the human body than Powerful Potent Pinecrest Elbow Grease! Our amazing volunteers enjoy the newest health craze by joining us for our annual spring cleaning at Pinecrest Historical Village! Cleaning supplies are available but if you are able, please bring your own as well. Snacks will be provided. Clean-up will take place on Wednesday, April 17 from Noon to 6 pm and Thursday, April 18 from Noon to 4 pm. Please contact the Manitowoc County Historical Society at (920) 684-4445 if you are able to volunteer. What’s better than indulging at a pizza buffet? Eating pizza and supporting the Manitowoc County Historical Society! Join us on Monday, April 15 from 4 to 7 pm at Pizza Ranch. 10% of your order and tips will be donated to MCHS. Our interpretive team will be your servers for the evening and they are excited to share our upcoming education programs with you! Enjoy a tour for our smallest of visitors! The Museum Mice preschool series tours will be offered to toddlers and young children and their parents, grandparents, or caregivers. Different topics will be offered on the second Wednesday of the month, from March to November, from 10:30 to 11:30 am. A hallmark of the Manitowoc County Historical Society’s local history collection is a group of over one thousand negatives taken from 1940-1980 of our community by local photographer Daryl Cornick. Join local photographer and MCHS volunteer, John Rohrer, as he showcases photos from the collection. The tour will focus on the archives of the Aluminum Goods Manufacturing Company. History Happy Hour will be held at Tapped on the Lakeshore (3114 Memorial Drive, Two Rivers) on March 20 from 5:30 to 6:30 pm. Guests during History Happy Hour will receive a historical overview handout about the tavern, along with a commemorative photo coaster, and a raffle to support the Meeme House Inn Project will also take place. Dine with us on Tuesday, March 12th at Qdoba Mexican Eats in Manitowoc to support MCHS! From 5 pm to 9 pm, dine at Qdoba and a portion of the proceeds from your order will be donated to MCHS. You’re invited to the 113th Annual Meeting of the Manitowoc County Historical Society! We want to share with you our progress during 2018 and how we will continue to transform our museum into a welcoming, interactive history campus! Help us say thank you to our volunteers and community members who have made 2018 a year to remember! Join us on Thursday, March 7, 2019 at City Limits Bar and Banquet, 3627 County Road CR, Manitowoc. A cash bar opens at 5 pm and a family–style chicken dinner begins at 6 pm. Please note any dietary restrictions you may have when making your reservation. The Annual Meeting, which will follow dinner, will showcase new amenities and educational features that will make the Manitowoc County Historical Society campus a destination for residents of and visitors to Manitowoc County. We will conclude the evening by celebrating those who make our mission possible with our History Maker Awards. Please reserve your place at our 2018 Annual Meeting by Friday, February 22. The cost is $20 per person. Join the Manitowoc County Historical Society in celebrating Wisconsin’s Supper Club traditions throughout the month of March. Wisconsin has a great tradition of Friday Fish Fries, Saturday Prime Rib, and Sunday Chicken specials—and we can’t forget about an old fashioned! Throughout our area’s history, there have been places that our families have gathered to celebrate special moments and to enjoy the evening. In celebration of our local food traditions, we have partnered with the following local dining establishments to share their history and celebrate their supper club style roots. Throughout the month of March, visit the partnering restaurants to discover their story and support the ongoing mission of our Manitowoc County Historical Society. For more information on supporting our local history, visit ManitowocCountyHistory.org. Our Manitowoc County Historical Society is a 501c3 private organization that depends on your membership and generosity to continue to mission of sharing the stories of our community’s past. Experience how pioneers survived harsh Wisconsin winters! The ideal age for this program is 4 to 17. Register by February 21. Each year, over 4,000 guests fill Shopko Hall for a day of interactive fun put on by the Einstein Project! The science, technology, engineering and math (STEM) behind everyday situations and careers comes alive at the Einstein Project STEM Expo. Visit the Manitowoc County Historical Society's booth and discover innovative pioneer technology! You can learn more about the Einstein Project STEM Expo HERE. Thank you for supporting Small Business Saturday and shopping at The Museum Store at the Manitowoc County Historical Society. Shop for local and Wisconsin history books, children’s toys and games, gift items, and membership packages! Download and print the coupon sheet below and save! Share Your Voice in Manitowoc! You are invited to share your thoughts and ideas with the Wisconsin Historical Society as we seek to create a 21st Century statewide history museum on the Capitol Square that connects and tells the story of all Wisconsinites. This event is co-hosted by the Wisconsin Maritime Museum and Manitowoc County Historical Society. Ghost sign from the former Pennys store on 8th and Franklin Streets in Manitowoc. There are so many things to look for when exploring along the old highways older parts of our towns. One aspect of the treasure hunt is seeking out faded and peeling advertising signs that have been painted on walls or farm buildings. These are sometimes called “ghost signs", and the painted images can indeed be “ghostly” when you try to decipher the original words and images. Join Ed Prigge and photographer Joan Prigge as they take us through Manitowoc County looking at ghost signs and their stories. This program is part of the Society's Hungry for History series. A catered meal will follow the program. Advanced registration required by calling (920) 684-4445. The cost is $20 Members and $25 Non-members. History Happy Hour will be held at the former Svacina's Red Lamp* (3931 Grimms Road, Reedsville) on October 17 from 5:30 to 6:30 pm. Guests during History Happy Hour will receive a historical overview handout about the tavern and a raffle to support the Meeme House Inn Project will also take place. *Please note that this site is privately owned and is no longer an operating bar. Please bring your own beverage to enjoy during History Happy Hour. History Happy Hour is a 21+ event with donations going toward the Manitowoc County Historical Society’s Meeme House Inn restoration project. There is no formal admission charge but donations are appreciated for the Meeme House Inn Restoration project. The Meeme House Inn (circa 1855) is currently being restored by the Manitowoc County Historical Society to its glory in 1915, under the ownership of Joe Schwartz. The historic structure will serve as in interactive living history museum, where visitors of all ages can be transported back in time and discover the Meeme House Inn, its livery, and poll house, in operation. A new experience launches in conjunction with the Wisconsin Science Festival at the Manitowoc County Historical Society. 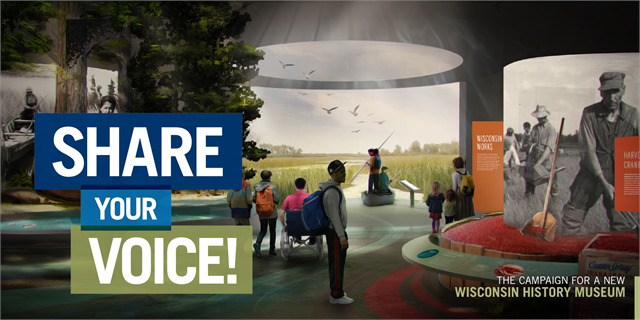 This experience will allow visitors, elementary students and homeschoolers the opportunity to explore science and learn how it connects to Wisconsin’s history. Students can work individually and together to explore science, technology, engineering and math concepts and overcome some sort of challenge. They will touch and interact with different objects from the past and take part in hands-on activities. Celebrate science throughout Wisconsin! Discover the future of food, explore environmental changes within our state, take part in a statewide visual data project and enjoy the wonder and fun of science at a location near you. From birds to breweries, rocks to robots and more, the Wisconsin Science Festival has something for everyone. Held throughout the state on October 11-14, the festival welcomes people of all ages for interactive exhibits, hands-on workshops, talks, performances, demonstrations and conversations with leading researchers and creative thinkers. Unleash your curiosity! Learn about moving heavy loads with a fulcrum and lever and pulleys. Work with wood tools like a hand drill and a plane. Make molasses cookies and cheese and see chemistry at work. Watch a blacksmith use molecular changes to shape iron! Learn about changes in communication in the 1800s and construct an electrical circuit to send Morse code. See how STEM (Science, Technology, Engineering, and Math) and history connect through pioneer power in the 19th century. Homeschool program admission is $6 for students age 5 to 17. Children under 5 are admitted free. One adult educator per family is admitted free. Additional adults may join in the program at a cost of $6 each. Chop, cook and taste as you try recipes from Martha Sorenson’s family cookbook. The matriarch of a large Norwegian immigrant family, Martha Sorenson was talented with her home maker skills. 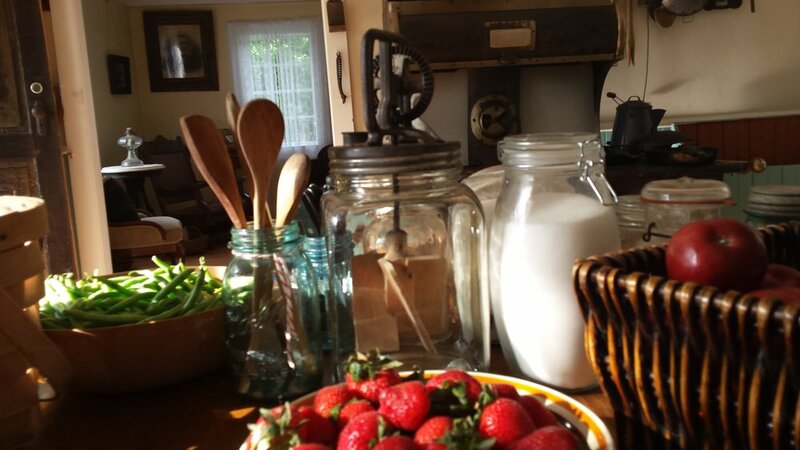 Join us in the early 1900’s kitchen to learn her story, and connect around Norwegian recipes. Presented in partnership with Culinary Weekend. History Happy Hour will be held at Meat's Opera Haus (204 S 4th Ave, St Nazianz) on September 19 from 5:30 to 6:30 pm. Guests during History Happy Hour will receive a historical overview handout about the tavern and a raffle to support the Meeme House Inn Project will also take place. The monumental Spirit of the Rivers sculpture, to be erected on the lakeshore between Manitowoc and Two Rivers, is not only a powerful work of art, but also an eloquent statement in bronze about the very nature of the historical origins and experience of this place. 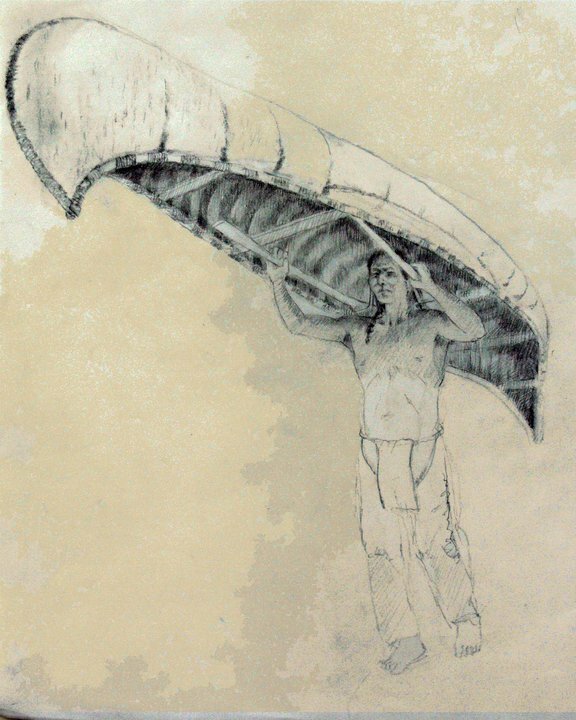 The sculpture itself is the creation of R.T. “Skip” Wallen, who grew up on Manitowoc’s southside, and consists of three towering Native American figures portaging a birch bark canoe. The monument is also accompanied by a book written by Kerry Trask, which tells the inside story of the project and discusses its historical and symbolic significance. In his Hungry for History presentation, Dr. Trask will provide both a narrative and pictorial journey through the sometimes arduous, sometimes euphoric, often serendipitous process of creating Spirit of the Rivers, which stretched out over nine years. He will also offer insights into the historical dimensions of this work which will now distinguish our communities for a long succession of generations to come. Put down your slates and finish your chores, it is time to play pioneer games! Registration is due by Thursday, August 9. Doors will open for the movie night at 5:30 pm with coloring activities and family tree projects. The movie will begin at 6 pm. Popcorn and refreshments will be for sale to support the Manitowoc County Historical Society's youth programs. There is no cost to attend the movie but donations are appreciated for the Society's Education Fund. There will be limited bench and chair seating inside the Nennig Dance Pavilion for the movie but we encourage guests to bring a blanket and pillow to enjoy the film from the Pavilion's center floor. 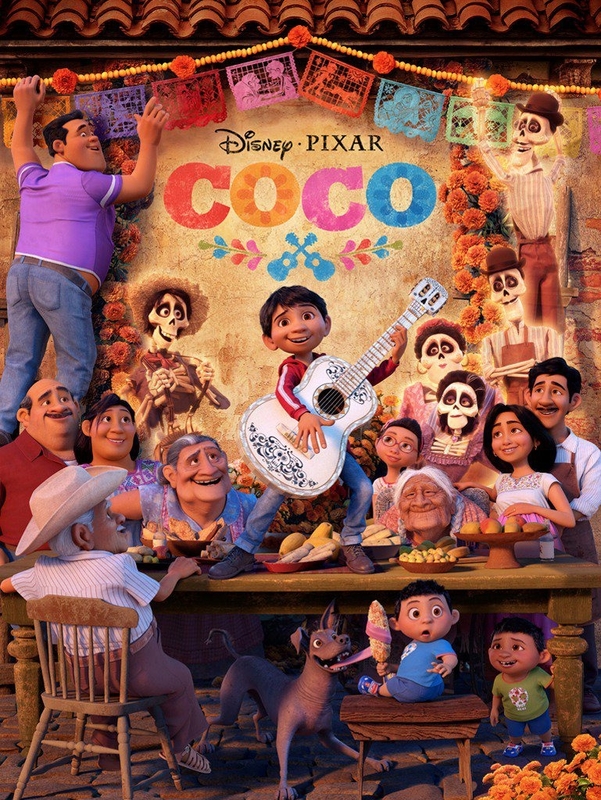 Coco tells the story of Miguel, a young boy whose desire to discover and follow his great-great-grandfather’s legacy takes him on a colorful journey through the Land of the Dead. In this vibrant world, he meets many members of his family tree who long to return to the world of the living on Día de los Muertos (or Day of the Dead) to visit the loved ones they left behind. But here’s the catch—they can only do that if one of their living relatives still remembers them.